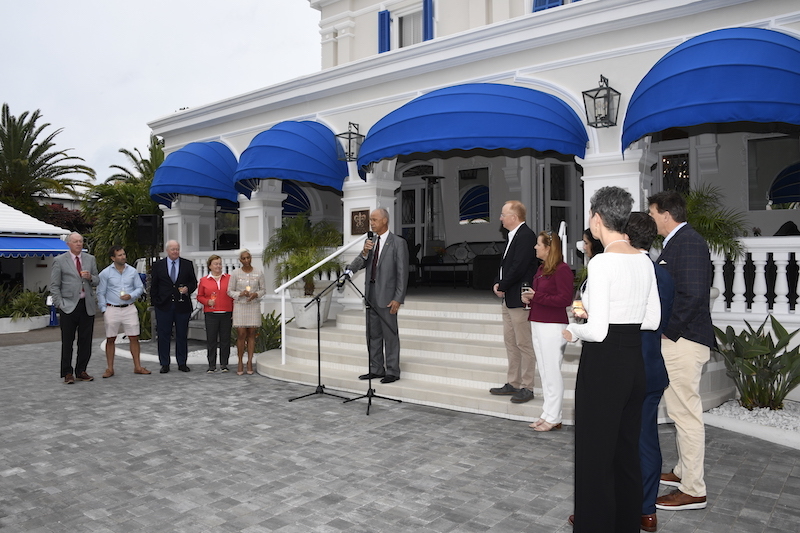 The Rosedon Hotel and Huckleberry Restaurant today re-opened after a month-long closure for upgrades and renovations, with owners Scott Kitson and Lee Petty announcing the acceptance of the historic property into the prestigious Relais & Chateaux group. 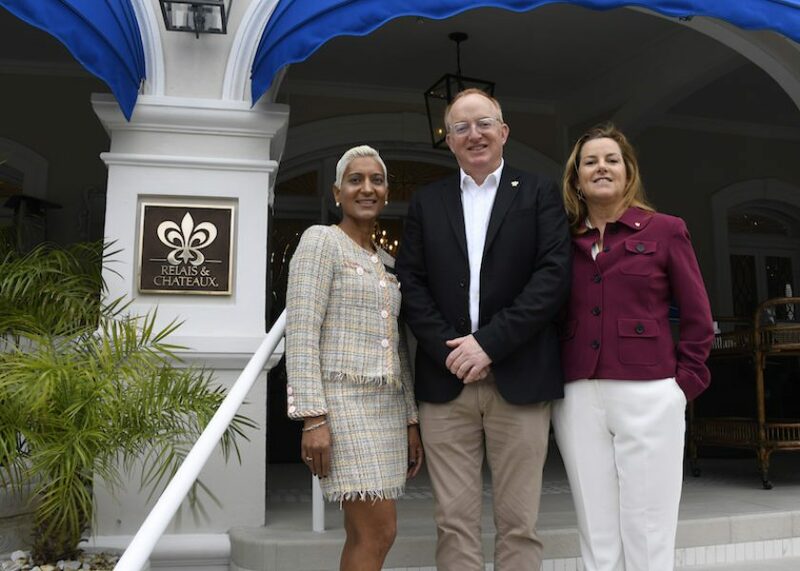 Guests, including Kevin Dallas, CEO of the Bermuda Tourism Authority and Stephen Todd of the Bermuda Hotel Association, were on hand at the unveiling of the exclusive association’s plaque at a small ceremony to both re-open the hotel and restaurant and to celebrate the property joining the group, which comprises over 550 luxury, hand-picked hotels and restaurants. 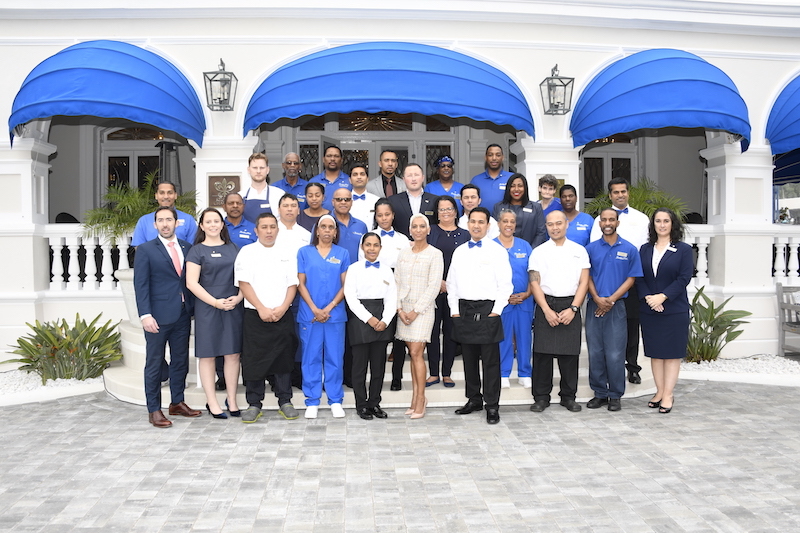 The full contingent of the property’s staff joined the celebration, all wearing their new Relais & Châteaux pins, which had been earned through rigorous training to achieve the high standards demanded of the Relais & Châteaux brand. Champagne and a selection of delicious canapes from Huckleberry’s new Sea & Farm to Table menu were proffered, giving guests a tantalising taste of what was to come should they choose to dine at the restaurant. Stephen Todd also made reference to the Relais & Chateaux status in his remarks “The Bermuda Hotel Association members extend our congratulations and best wishes to our member property, the Rosedon Hotel and Huckleberry Restaurant, on being awarded the prestigious and internationally recognised Relais & Chateaux designation, in keeping with their newly upgraded premises. We wish the Directors, Management and Staff much continued success as they create memorable destination experiences for our future visitors”. The Rosedon Hotel and Huckleberry Restaurant closed for the month of January, as they have done for the past two years, to implement interior and exterior upgrades. This year, fabrics, linens and furniture in the Royal and Luxury rooms have been replaced and improvements made to circulation and workspaces in the restaurant, kitchen and bar. 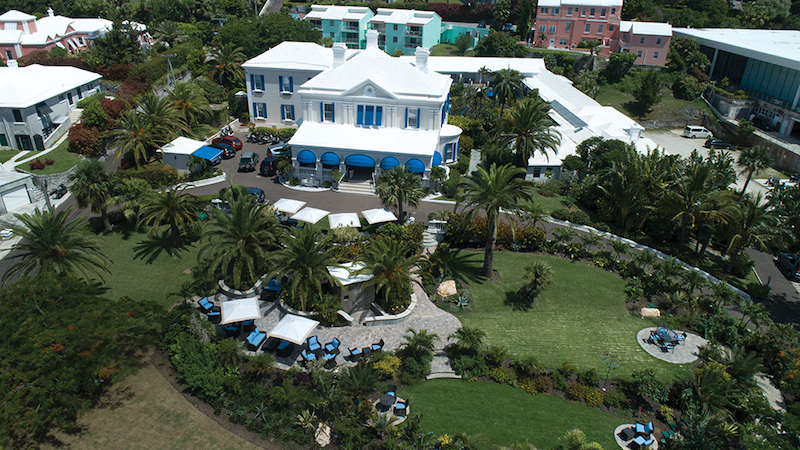 Outside, the gardens have been enriched with new plantings, increasing the number and variety of mature local and tropical plants, and additional areas have been created for intimate dining settings. As part of the increased offerings, Huckleberry will be serving breakfast, lunch, afternoon tea and dinner on a daily basis, while brunch will be served on Saturdays and Sundays.